Wild cucumber vine is attractive and some people consider it worthy of ornamental status. To most gardeners, however, wild cucumber plants are pesky weeds. While the vine is not invasive, it is definitely aggressive. 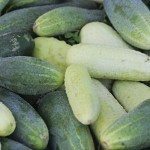 Read on to learn more wild cucumber facts and get tips for controlling its growth. Native to North America, the wild cucumber vine (Echinocystis lobata) is a rambunctious vine that can reach mature lengths of 25 feet in a hurry. Wild cucumber vine likes moist areas and is often found near ponds, streams, or in moist meadows or bottomland. However, the vine can pop up in typically dry areas when rainfall levels are higher than average. Wild cucumber plants climb up vertical surfaces by wrapping their clingy tendrils around anything in their path. 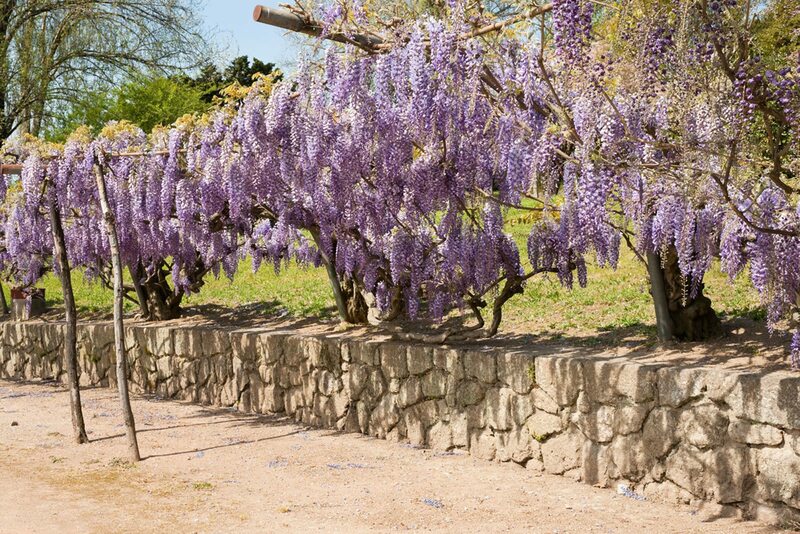 The vine can do considerable damage to trees and shrubs by blocking sunlight. However, it makes an attractive plant growing over a pergola, fence or arbor, especially when the plant is covered with tiny white flowers, beginning in midsummer. The best way to control wild cucumber vines is to hoe or pull the plants as soon as you notice them in spring. If you don’t notice them early in the season, you can mow the vines repeatedly to keep them in check. The most important thing is to get rid of the vines before they go to seed. 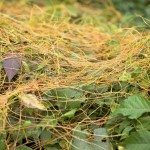 If the vines are climbing up trees, shrubs or the side of your house, pull them off as soon as possible and discard them safely – not in a compost pile. Chemical control of wild cucumber plants is ill-advised. If you decide to use herbicides, read the product label carefully and use the product only as recommended. Products containing glyphosate may be effective against young plants and the herbicide, which isn’t taken up by the bark and roots, is generally safe to use around trees and shrubs. However, spray drift will kill nearly any green plant it contacts. Some types of herbicides will kill the vine, but they will also kill trees and shrubs when the chemicals are absorbed into the soil and through the roots. Rain or irrigation can spread the herbicides, putting non-targeted plants in jeopardy. Is Wild Cucumber Fruit Edible? This is an often-asked question, and the answer is, unfortunately, no. Although wild cucumbers are related to the familiar, domestic vegetable, the prickly “cucumbers” consist not of fleshy fruit, but of two seed chambers containing lacy netting. The netting holds four large seeds in place until the fruit ripens and the seeds drop to the ground to begin a new vine.